Thymol is a monoterpene phenol derivative of cymene, isomeric with carvacrol, found in oil of thyme, and extracted as a white crystalline substance of a pleasant aromatic odor and strong antiseptic properties. Thymol was in originally introduced as a disinfectant in lieu of carbolic acid having the advantage of a more pleasant odor. Thymol is employed in many of the antiseptic mixtures intended for use upon mucous cavity, especially in gargles, mouth washes, other oral preparations and as a local anesthetic in toothache. Thymol is also used as a gestro intestinal disinfectant in fermentative gastritis enteritis and similar casesThymol is furthermore used for the compounding of synthetic essential oils. 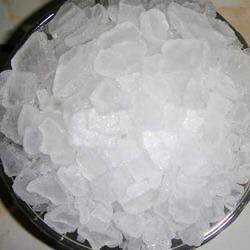 It is widely use IN FOOD, FLAVOUR, COSMETIC, PHARMACEUTICALS AND PERFUME INDUSRTIES.